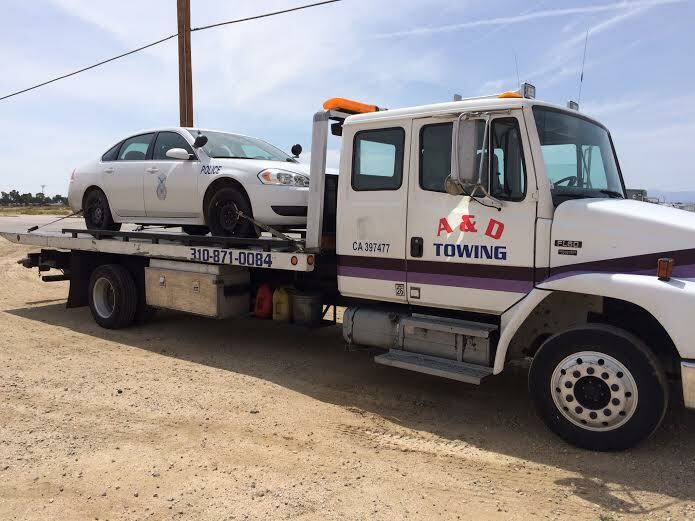 We provide quality towing and roadside services to Lancaster and various parts of the Antelope Valley. Call Us Today! Lancaster Towing CA is truly the best. We are the least expensive tow company! Have you ever been stranded on the side of the road for hours, waiting for a roadside assistance specialist or tow truck driver to finally show up? If you’re sick and tired of forking over your hard-earned cash for second-rate towing, roadside assistance, and auto locksmith work, you’ll be happy to hear that there really is a company in town that delivers on its promise to provide you with first-rate towing, roadside assistance, and locksmith work for the fairest and most affordable rates you’ll find in Lancaster and Palmdale. That company is A&D Towing Lancaster . Think we’re exaggerating? 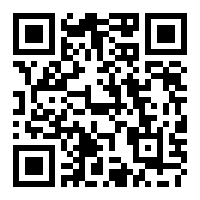 Call 661-370-8618 now for a transparent price quote. 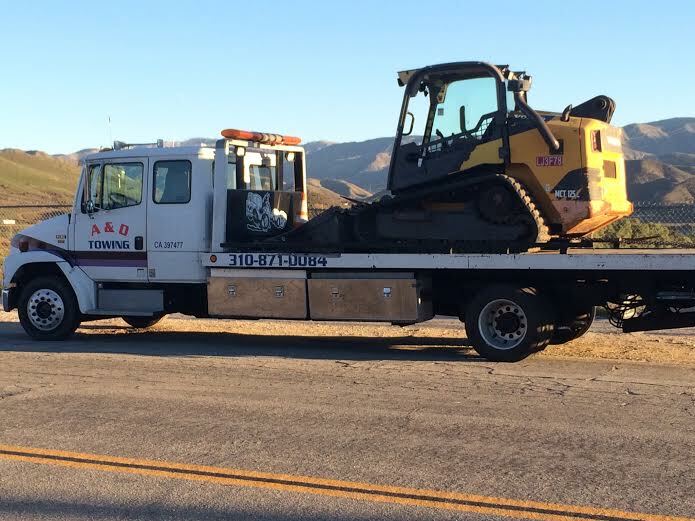 Reliable Roadside Assistance Services in Antelope Valley. Our unbeatable rates are only the beginning of what you’ll enjoy as a customer of A&D Towing. We also offer 24-hr service, and that means 24 hours a day, 7 days a week, and 365 days a year. Someone will always be here when you call, even on a rainy Saturday night or on Christmas Day. All of our tow truck drivers, roadside assistance technicians, and auto locksmiths are on call during weekends and holidays, and it will take them no more than a mere 30 minutes to get to your car no matter how late it is when we receive your call. Are you locked out of your car? Do you need a long-distance tow? Did your car battery just die? Make no mistake about it: A second-rate tow truck driver or mechanic can damage your car and cost you hundreds of dollars. That’s why it’s so important that you call a professional company with a proven track record of providing top-notch service the next time you need a roadside assistance, towing, or lockout service in Lancaster and Palmdale. We’ve been in the business of providing the drivers of Lancaster with professional services for years, and no other company in the city can even hope to compete with us when it comes to knowledge, experience, and expertise. Just as important, A&D Towing Lancaster uses the most modern and cutting-edge equipment and tools, all of which we update or replace on a regular basis. Our fleet of tow trucks includes trucks for all manner of towing jobs—from light-duty to heavy-duty and everything in between. A&D Towing Lancaster hires the best roadside assistance specialists, tow truck drivers, and auto locksmiths. Delivering on our promise to make your safety our foremost concern, we only hire those who agree to a thorough and meticulous background check during which we check for any discrepancies in employment and driving records. Typically in the Northeast, the majority of quality tow truck operators choose Jerr-Dan which have flat beds or they look for rollback trucks for sale. One of the reasons for this is that many vehicles in New England have all wheel drive and you can`t use just any wrecker in Massachusetts to pull an all wheel drive vehicle.Although Jerr-Dan, has recently introduced two new wreckers to the market, that are proving to be very versatile with our client base. The Element by Jerr-Dan offers reliability with street agility. The Element offers "patented over-center LOCKLINK mechanism which locks wheel retaining arms in the full tire-engaged position" and "hydraulic self-loader which offers low profile crossbar with friction- adjustable, self centering feature. "In addition, the MPL and MPL40 Jerr-Dan wreckers offer smart design and relenting performance. This wrecker in Massachusetts offers the longest under lift, over-center LOCKLINK mechanism and a modular aluminum body. One such feature is the Motorcycle towing Adaptor which makes one operator loading and unloading of motorcycles a walk in the park. In addition, the MPL40 is also capable of utilizing a Tow Sling which gives the Jerr-Dan additional recovery options for damaged vehicles. The boom feature is also a must for every tow truck fleet. The 8-ton Boom is all hydraulic and offers many additional features to allow for more recoveries in multiple situations.